Footpatrol’s latest collaboration with Puma leads us to Tokyo, Japan. A place where ancient traditions are effortlessly fused with modern life. Imperial palaces, dense cities and mountainous national parks have the power to enthral any traveler. 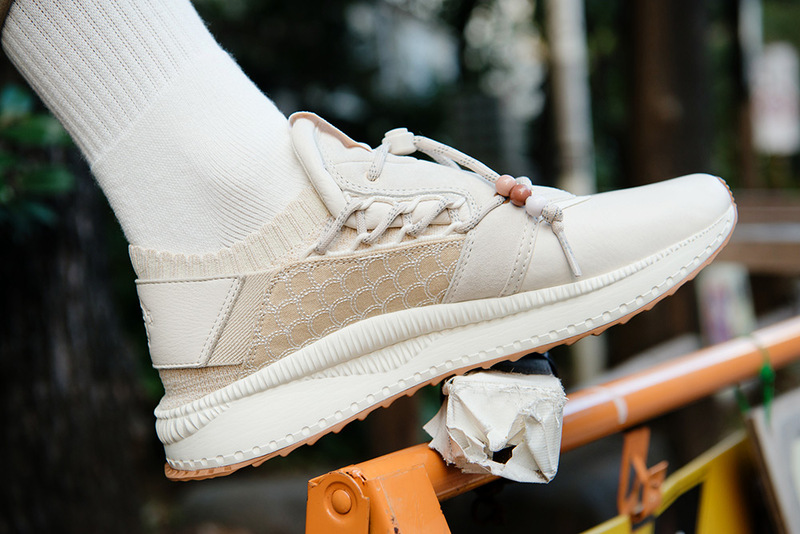 FP were given the opportunity to work on one of Puma’s newest and most techy silhouettes to date, the Puma ‘TSUGI Shinsei’. The TSUGI Shinsei wraps a stunning amount of ideas, cultural forces, and aesthetic experiments into a single silhouette. All these attributes make for a popular silhouette but the heart of the shoe is in its name. The name of the shoe, “TSUGI” is Japanese for “next” and “Shinsei” means “rebirth,” connected to TSUGI in theme but a separate idea of beginning, essentially a rebirth. A remarkable statement for a brand founded almost 70 years ago. 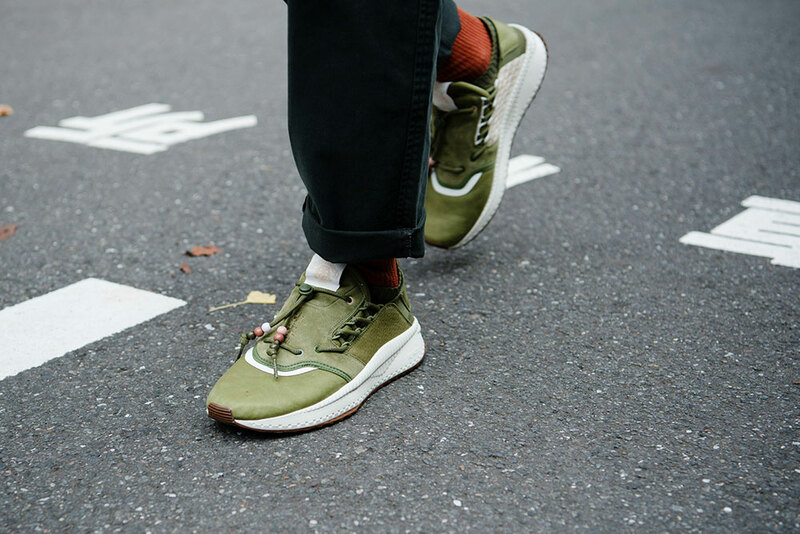 We have seen the PUMA brand grow faster and stronger lately, injecting new visions of fresh creativity and processes to its line, The TSUGI Shinsei shows not only confidence of growth but also a healthy dose of grit. The TSUGI is bold in its design, traditional Sashiko designs and Footpatrol branding adorn this futuristic model, the upper sits on Puma’s Ignite Foam with more texture and shape. Ignite is the soul of PUMA’s running program, athletic flexibility elements exist but a contemporary aesthetic makes for a shoe that encompasses both technology and style. The Footpatrol x Puma TSUGI Shinsei “Sashiko” Pack is available in two colorways Olive & Birch at Footpatrol on December 8.